The name Godwin, sometimes spelled Godwyn or Goodwin seems to go back to Godwin, Earl of Kent, who was the cousin of Suen, Earl of Essex and Father of Harold the King. The name is not on Sir J Fortesques list of tenants in 1600 suggesting a Manor in its own right. One of the Manors of Swanbourne was held by Earl (then King) Harold Godwinson. However, there seems no provable connection to the Godwin family which first appears in Swanbourne Parish Records in 1606. The possibility that the manor may have continued in that family name after the overlordship passed to William the Conqueror is highly speculative, and cannot at the present time be either proven or disproven. The Godwin charity is famous locally, being a charge on the Swanbourne estate of £15 per annum. Originally intended to be the income from lands, tenements and the Manor House opposite the south porch of the church. 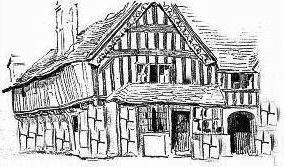 This was described by Arthur Clear, the 19th Century Winslow Historian, as, ‘A rare old building with its once open high pitched roof and black finely worked oak timbers and cut stonework, probably of the time of Henry VIII.’ This was demolished in the 19th Century. There is an open field at the site opposite the church now. William Godwin died in 1705, and willed £100 to the education of poor children. His executor was his only brother Nicholas who supervised the building of the first school in Swanboune, but he also died in 1714. 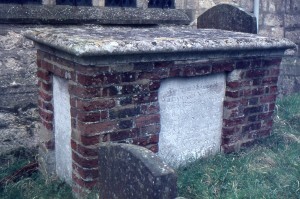 Tomb inscription:- To the memory of William & Nicholas Godwin Brothers of this Parish who founded the Free School here. This monument offered and erected by Ralph Carter of ye Parish of Mursley, Bucks. William and Nicholas Godwin had no male heirs. Female descendants lived on in the Carter family and David Stowe who inherited the old Godwin Manor House. This was purchased by John Deverell in 1747, and demolished soon after its subsequent purchase in 1869 by Sir T. F. Fremantle . The school was also demolished in 1869 by Sir Thomas Fremantle after purchase at the same time as the old Godwin Manor House. The old school site is now a field next to Nos. 2 and 4 Station Road. Robert Carter received a substantial award upon enclosure, which became Holcombe (now Oakham) Farm. These lands subsequently became owned by John Deverell. Ralph Carter (son of Richard) who lived in Mursley erected the monument to the Godwin brothers on their tomb in St Swithun’s graveyard, Swanbourne, close to the church. 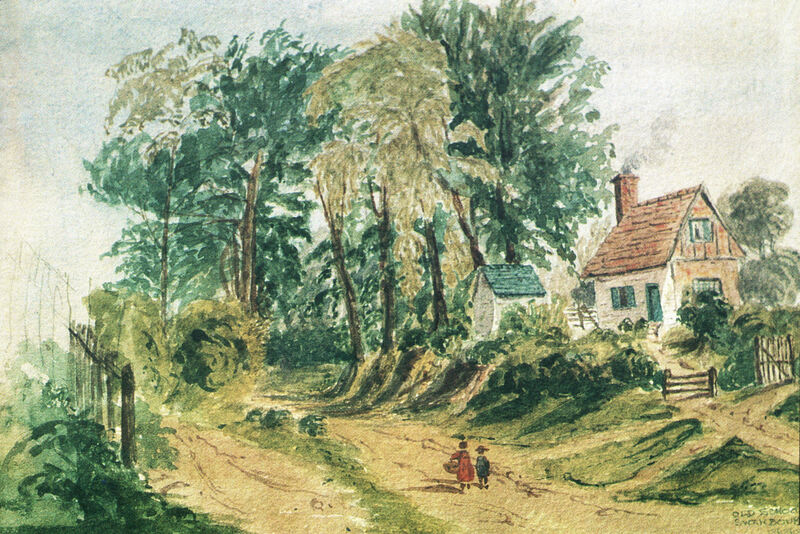 Painting of the Oldest School House (Godwin School House) in Clack Lane (Station Road); demolished 1869. Impression of the likely appearance of the old Godwin Manor House opposite the church before demolition in about 1869. Based on descriptions by the Victorian historian Arthur Clear, it is possible to reconstruct the appearance of the old Godwin Manor House/Farmhouse, which used to be on the south side of the road directly opposite the Anglican Church, next to where today there is a war memorial. This reconstruction meets the description given earlier; i.e. ‘A rare old building with its once open high pitched roof and black finely worked oak timbers and cut stonework, probably of the time of Henry VIII.’ The final occupant of this building appears to be Samuel Palmer (based on information contained in the 1861 Census), who appeared to own agricultural land in the village but no farmhouse, which seems to have been rented from the then owners, the Deverell family, who sold to the Fremantles.